It is obvious that we begin to encounter the ecological limits of economic activity: all those who listen to the new international météologiques know. A liberal economic system, whose goal is the pursuit of profit in the short-term vested interests, can not take into account the long-term costs such as environmental degradation. The current economic models are unable to estimate the true value of the « production » of nature, essential to our survival: oxygen production, carbon sequestration by forests and oceans, temperature regulation, protection against solar radiation, chemical recycling, rainfall distribution, water production, food production, etc.. If our economic models incorporated the actual cost of the destruction of nature, pollution, climate change, it would radically change our estimate of what is « profitable » and what is not. The production of nature was assessed 55.000 billion a year by a group of scientists from the « Institute for Ecological Economics » from the University of Maryland in 1997.Nous are now in 2013, and it is certain the costs (and the value of the assessment of the nature) have significantly increased since some time, given the number of extreme weather events, increasing exponentially. If we continue this logic, following the recent disaster of Lac-Megantic, we can be certain that the company (MMA Montreal Maine and Atlantic), responsible for its negligence and broken not maintain its tracks and trains, will prefer to the key in the door and close the books rather than paying for the damage to the environment and those due to human population (deaths, physical and psychological injury, economic loss of business, etc.). This company will organize Like many others before her, to make a « profitable bankruptcy, » leaving the people of Quebec with bills to pay, to bury the dead, to remove illusions and moral wounds to heal. Recent flooding recently experienced worldwide, including particularly in North America and Europe, multiple earthquakes recorded everywhere on Earth, moving faster the magnetic North Pole more than 130 kilometers in a few years, suggest we are only at the beginning, « the end of humanity » if we are not careful we will send warnings of Nature. The huge forest fires that devastated northern Quebec are also linked to the degradation of life on Earth, which is proof of the responsibility of the demographic and economic « capitalist » growth imposed on the Human Terre.Il is now too late to turn back quickly and effectively control global warming because it will most likely several centuries of constant effort and discipline in order to theoretically difficult to take control of our global climate. People who currently have no interest in the new world, can not make links between extreme weather events are becoming more frequent, with economic activity actuelle.Les workers Quebec overtaxed by hours of mind-numbing work and stressful pace of life, can not always take the time to reflect on the condition of slaves and victims in which they and they live. The world of work is unique: it isolates people in a bubble in order to extract any profit until the last drop of your sweat last vie.Par later when you retire, the « system « is organized for you recycle you penning somewhere to siphon your savings if you reste.Les » pseudo developers neoliberal « attached to the credo of unlimited economic growth until the end of time, have nothing to do with workers, students, unemployed and pensioners who think, wake up and finally rebel against the Divine Capitalist System. This system has everything planned so far in every détails.Je say that even the disaster of Lac-Mégantic was intended to make us swallow the idea of ​​a pipeline to transport « safely » oil which our Blessed company was dutifully bathed in dépendance.Depuis a century, towns, villages and all the economic development has been built around the car driven to fossil fuels (that is to say, oil). Why the capitalist system would deliberately produced such a disaster … you ask me the answer is simple! Maintains and neglecting the security to get a fast maximum profits, the preconditions are created predictable major accident will be close this railway and promote a « magnificent pipeline » pay your taxes. At the same time, it suits everyone, especially the Desmarais family (Total, the oil sands, Power Corporation) Sagard, Caisse de Depot et Placement du Quebec ($ 7.7 million shares in MMA, development pipeline) and construction companies in Quebec, union solidarity funds … and so on. Never forget that when a city is destroyed, it is often necessary to rebuild … profits.Souvenons with us from Germany and Japan after the war and especially New York was bankrupt at the beginning- the seventies. All players in the « crime scene » of Lac-Megantic play their roles very well in speaking to the media sold the system to leave the economy of the city … more soon! The state capitalism n ‘ not like downtime, so you have to forget as soon as the misery of many victims survivantes.Tout as September 11, 2001, firefighters, police and political authorities will be put to the foreground to create new hero in order to extend the vision of the social life of the system, but especially business. The dead can live with them, but not the death business! The New World Order needs to feel that neoliberalism will perpetuate and extend over time. Have you noticed a new train derailment occurred yesterday, July 24, 2013, in France? Have you noticed that whenever there is a killer in the United States, there is always a ripple effect elsewhere, as if a « fashion » was born! Truth may eventually see the light, but it is not the current politicians who sit in the National Assembly of Quebec that will benefit us dire.Ils and live the corrupt and decaying political system that will provide them retirement … then why try to change a system that promotes all? In the next election, they all lie to us and shouted that they can extend the life of the welfare state in guaranteeing the Holy Economic Growth with safety in transport of hazardous materials … such as oil, for example! Truth, I’ll tell you in two words: the world is changing faster and faster and the real « Masters of the World » have already made decisions on the fate of half of humanity They control the National Assembly. Quebec, using organized crime as an intermediary. So no matter which political party you vote in the next election, you will not change anything, but the colonial system, still in force in Quebec does not want you sachiez.Vous may have the right thinking about it a little, but not to say that we must walk on the Quebec National Assembly to dismiss the race officials appointed for life, to ensure continuity of corruption as a system under the auspices of mafia, secret societies and human multinational « Chinese Communist » on our soil. In fact, looking at our current National Assembly, I have the impression to see sit in « black kings », but not free people’s representatives. I see a system in place to make us go round, like chickens without tête.L importance is to extract the natural resources of the territory to meet the growing needs of the colonizers, without regard to the type of government, political party or social project exists or not Québec.On might well, moreover, get rid of French and Native American peoples of Quebec by emigrating in part to Western Canada or Nunavut to exercise free jobs before importing anglophone or allophone immigrants to maintain the holy growth that would benefit the economic change.C is probably it, the illuminati plan for Quebec, the plan will allow Desmarais to grow exponentially, their investments. Thereafter, Ms. Marois will be able to buy a patterned after a castle in the house. 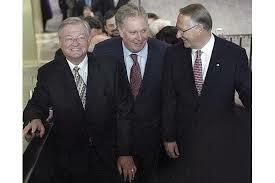 Charest will return to an institution such as the Caisse de Depot et Placement, a solidarity fund or an association of law firms véreux.François Legault will make many friends in large corporations.Amir Khadir will become a great hospital administrator or carritative association. What we see before our eyes is the murder planned and programmed our démocratie.L idea is you ignore the political and social demands exposing all its stench in the open, to let the elbow qu’aura the choice made the Great Lord Illuminati Sagard, he chooses for you which will make you happy or future misfortune. The table is set to Québec.pour installing a slave dictatorship manipulated by high finance and Crime organisé.Cette dictatorship has the appearance of a democracy, but an executioner will be worse because of the agenda will be more criminals. The plan of destruction of nature and wildlife (or North Plan) is inevitable in Quebec, because this is wanted and prepared by the allies and supporters of neoliberalism, Quebec. 1 – The death of nature and the increasing pollution will make people even more dependent on the economic system to survive, and will help to generate new profits (including increased consumption of drugs and medical services …) . 2 – In addition, the nature is a reference to another level, that of the universe. The contemplation of the beauty and perfection of this order is subversive: it leads the individual to reject the ugly urbanized environments, and to question the social order must remain the only reference. The urbanization of the environment helps put people in a totally controlled airspace, monitored, and where the person is fully immersed in a projection of the order Company ‘s invention of the cities, many millennia ago, is historically the birth of the first dictatorships and tyrannies first. 3 – Finally, the contemplation of nature makes the dream and intensify the inner life of individuals, developing their own sensitivity and thus their free will. They therefore continue to be fascinated by the goods, they are turning away from television programs to stupefy them and control their minds. Freed from their chains, they begin to imagine an alternative society based on values ​​other than profit and money. Anything that can get people to think and live by themselves is potentially subversive. The greatest danger to the social order is spirituality because it leads the individual to change his value system and therefore its behavior at the expense of values ​​and behaviors previously established by social conditioning. The stability of the « New World Order » (who is also a New Social Order Totalitarian), anything that can stimulate spiritual awakening must be eliminated. 4 – Finally, everything is free by birth and natural law must monetize and profitable to avoid the humans of Earth might believe that there are other values ​​in life than that one can and must payer.Ainsi recently, there has been a U.S. state legislation on the establishment of « his property » water pluie.Des fines were awarded to citizens who collected water rain on their properties! Increasingly, we see that under Barack Hussein Obama, the United States of America are moving quickly to establish a socialist dictatorship close stalinisme.N ‘Has it not sought to privatize water distribution network in Montreal? All this will lead to the creation of two classes of people: those who are able to afford everything they want and need in life and those who can not for lack of money at birth and be sentenced to death. In this kind of neo-liberal democracy of the future, there will be plenty of male and female citizens who no longer have the physical and mental strength to vote, so we will eventually abolish the law, people will vote sitting in front of their computers and find that too many people have a useless existence, so « we » exterminate part of mankind to improve the lives of a small elite assassins … the top of the pyramid. Not to be permanently removed from the game against the powers-economic power (trade unions, consumer organizations, environmental movements) must respond by placing them on the same level of organization, global and not just national, unifying and synchronizing their actions across groups of states weighing sufficient weight in the global economic flows. We are left with little time to react, because all the necessary controls in a future world dictatorship are now in place. In Quebec, we must fight fiercely to ensure our national rights, while Canada Harper, the ultra-conservative monarchists and polluters of the West, will try for the last time at least, to make us swallow their totalitarian vision , their only thought of Canada « Coast to Coast » to throw in! We Quebec Patriots have a huge and almost superhuman work release Quebec before mourir.Nous have a sacred duty to protect our remaining nature, attempting to clean what can be and improve the environment our beloved country, Quebec. We have the huge challenge to bring down the current building or place the power of political corruption: our National Assembly of Quebec, and then carry out, in the beginning of the Third Millennium, the total independence of Quebec. We have first to reign Justice and Truth if we want to live free and proud men and women to be. It would do us any good to fight, whether it would emerge a tyranny or the people continue to survive in oppression and falsehood. The first thing a true patriot should do would be to ask people their opinions on the words inscribed on the text of a Constitution for the State of Quebec, a cleared state of parasitism Orange Canadian monarchy, serving of a foreign power. In 1837, there were more English and Irish patriots as French patriots to fight side côte.Il there was not this racist contempt for the language of one or the other, because everyone understood they were fighting against an enemy commun.Ensemble, Francophone and Anglophone patriots had a common social project: the creation of a free and independent republic, freed from British colonialism. In 1950, at the time of Maurice Richard, there was nobody who said nationalist, Canada, except Maurice Duplessis and his supporters of the National Union, Québec.Nous owe him our beautiful fleur de lis flag. In 2013, many English Canadians understand the meaning of this struggle because they live this state of slavery in a polluted environment or they are delivered to themselves under the authority of governments increasingly corrupt and centralisateurs.Plusieurs citizens and citizens of English Canada include them as they are-in a political stalemate, social and économique.Le jamb Canadian capitalist system from all sides and we can guess that it is only a matter of time before he s ‘collapses as a unit. A period of anarchy and popular revolt therefore may start at any time here, near our neighborhood, in our city and « our country », no matter what it’s called or calling. We will, we the peoples and nations of the Great Canada to resume the struggle of Louis-Joseph Papineau and his revolt as it is and will remain an expression of our rebellion to one and all, even if we do not move in front of our television screens or computer. These are our grandchildren will a final judgment on our actions or our inertia. It is a question of will and decision and it starts in our hearts, our love and sense of sharing as beings humains.La certainty that I have in my heart and soul is only a short time, we live in a New Era and we have a duty to adapt and live in our époque.L experience the history of humans on Earth shows us that everything becomes unsuitable among living beings, eventually disappear. I express sincere wishes that Quebec is released from this terrible burden on his shoulders, which is called the false as Canadian Confederation. I have given my consent to the use of certain information that I have to disclose to foreign allies, so that they can develop an international action to support people in Quebec’s National Patriotic March for Freedom and Justice . Numerous consultations currently underway on social networks to spread publicly the future of the ripple effect that might have, our cohesion solidarity with many liberation struggles around the world. The avowed aim: a great challenge! The avowed aim of the liberation of the people of Quebec is to the First Barrier NWO creating a first liberated people in North America. Freeing the people of Quebec financial shameful slavery which it is submitted, we will have a free hand to support a Second American Revolution necessitated by the height of the debt, higher than the Himalayas and the loss of control, by the American people, its government and its justice. We consider time that « Enlightened Human », there are no boundaries to organized crime, totalitarianism, slavery and the physical security of all forms of life on Earth, even those we do not see. Accordingly, we believe in « Self Defense State » on all levels: social, economic and political. By cons, we will not run any drop of your precious blood, even if everyone knows or learns us how you, the political leaders of North America,’re dangerous criminals, murderers sitting on their thrones walleye, poisoners consciences, embezzlers of public funds, Crusher of independent peoples and immoral no spiritual consciousness. Justice will be done … but! The Revolution begins, will eventually send you all to jail, you corrupt politicians in Quebec and throughout North America, in order to serve the Judgment of Peuple.Bien course, you will abide in the expectation that we change the lax laws and protective for you and your little friends. We hope and wish that you are judged by a New Law Code established by the Sovereign Peoples of North America, which is part of Quebec … himself hoping at least one constitution to allow him to define and breathe a little of Liberty which was right, other sovereign nations of the world. The time now is against you, but for the Freedom of the People! Because … it is the nature of prisoners to dream about Freedom! French people of America who dares to even survive on the land we call Quebec, came after more than two hundred and fifty years of colonialism in arrears for more than fifty years of African decolonization and over forty years of political misrepresentation our National Assembly of Quebec. We can say that we have a hard life, but I do not know if you can imagine, you are the « phonies » that you look in the mirror in the morning, thinking that we, the citizens of Quebec, are poor idiots with no future, but your time is up. Earlier, the bell will ring and recreation will end for you! When the people will wake up for good, deciduous Laws that govern us, will change …. and your fate, too! Ended pension funds indexed to the cost of living tax-supported small workers whose wages will fall, but pension fund themselves! No more boyfriends corrupt politicians who are given positions and positions additional reward for their silence and their dark night activities. Finished your coexistence with organized crime … because we understand that you’re part of! … Our weariness list is too long to list here! The last thing we need from you, the current elected politicians to « pseudo » National Assembly of Quebec is to allow us to change the rules of the game that you fake (called democracy) before » go you see elsewhere, « it should not take too long! Incidentally, our National Assembly became increasingly since the election of Jean Lesage, in 1960, a dark theater or extras know who pulls the strings of the viewers perceive better, because too large . So you have aged badly wrong and nobody, except you yourself, in your circus in bankrupt. The time has now come from … and in silence, because we are tired of hearing you lie! We the people of the last survivor colony of the British Empire! We, the slaves kept alive this colony, are composed of nations coexisting with French Quebec First Nations, Métis Nation of Quebec and a certain percentage of English-speaking citizens … who have to get up every morning to go to work . We are the 99% of people upon whom the capitalist economy! We fatten our masters and exploiters we live out of the system! We are tired of suffering social injustice organized by the alliance of organized crime and political power, under the supervision of a Lord worthy of Versaille! The 1% in Quebec! Our condition is like that of Hebrew slaves who were making bricks for Pharaoh, so as not to die! We are still at the moment, the most taxed people in North America, while slum confused! 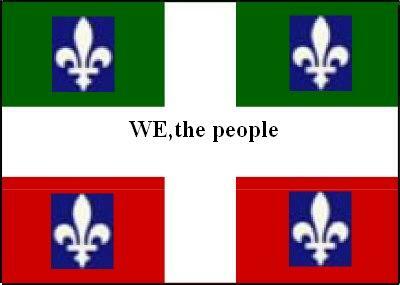 We the People Quebec demand the right to have our minimum Constitution of the State of Quebec!